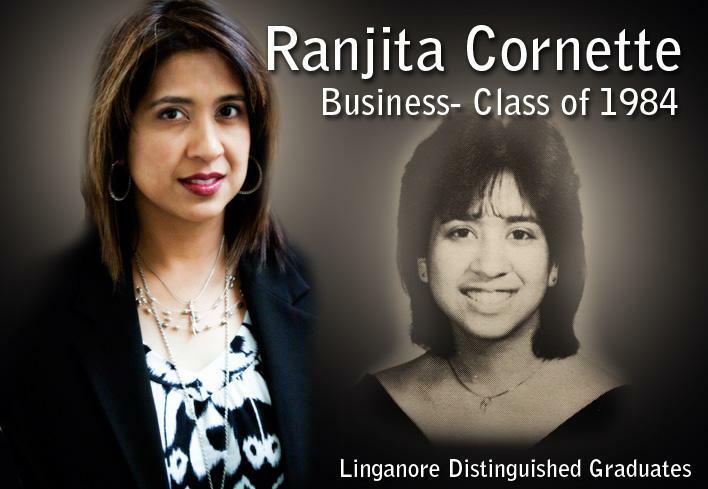 Ranjita (Anji) Cornette graduated from Linganore in 1984, is the 2016 Distinguished Graduate honoree in Business. She also has a Christian rock band, HarvestBloom, that has had music featured in some Graphic Audio productions. Their music has been featured on HGTV, NBC, MTV, Nickelodeon, and more. Their song, “Let It Go”, reached Billboard’s new and active chart in September 2011. Her husband, Patrick, plays guitar for the band. One job is not enough for Cornette. She oversees and manages Potomac Talking Book Services, a company that records books for the blind and physically handicapped program for the Library of Congress. Her high school activites could have predicted her future. She performed in talent shows, ran sound for the school plays and for the talent shows, and was in choir.